During the second world war a number of different styles of goggles were available to protect the eyes. Some were pre-war but others were manufactured for sale during the war for use by rescue parties and wardens. Rubber goggles made by Siebe Gorman. 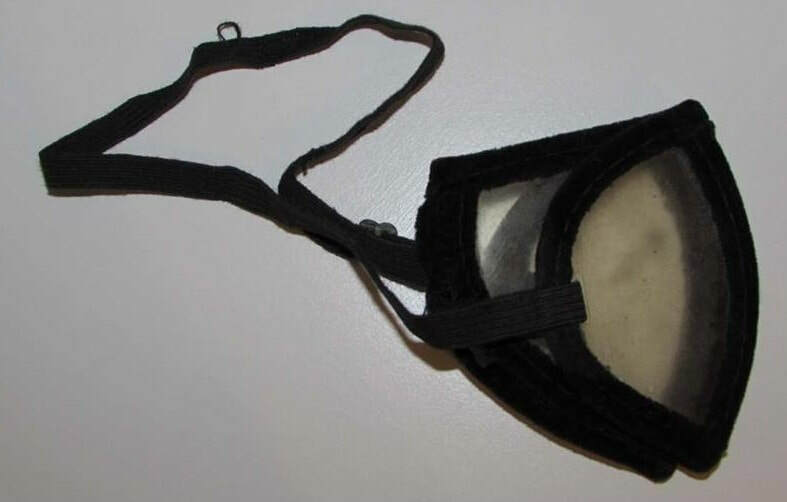 Part of the fire service breathing set but used by other civil defence personnel as dust and smoke goggles. WW2 Siebe Gorman Rubber Goggles (front). 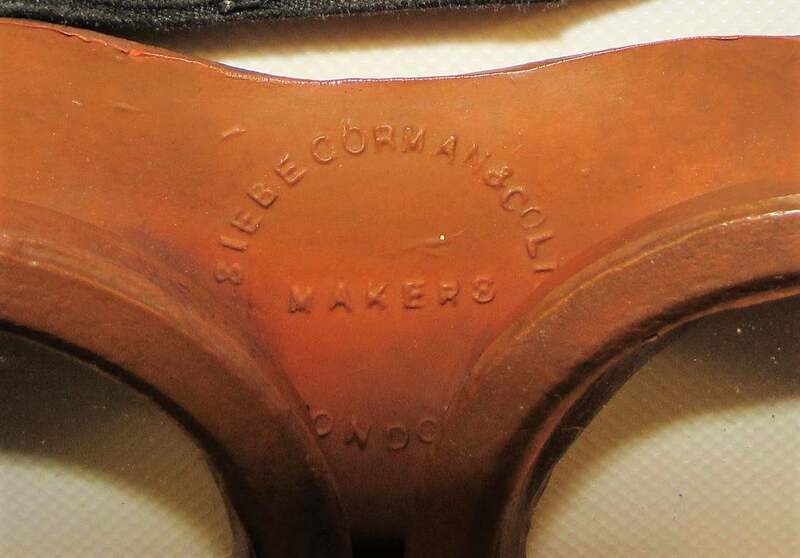 WW2 Siebe Gorman Rubber Goggles (maker's mark). WW2 Siebe Gorman Rubber Goggles (rear). 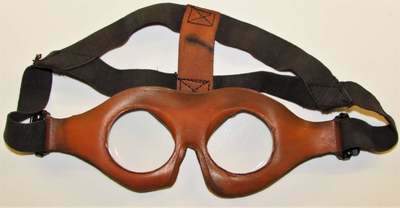 These goggles were worn by civil defence personnel to protect eyes from spitting incendiary devices and bomb splinters. The central section with a cross could be rotated providing more vision when required. Steel Goggles to Protect Eyes from Bomb Splinters (front). 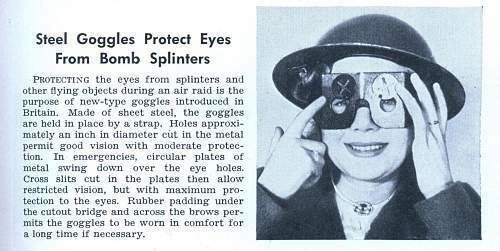 Steel Goggles to Protect Eyes from Bomb Splinters (rear). 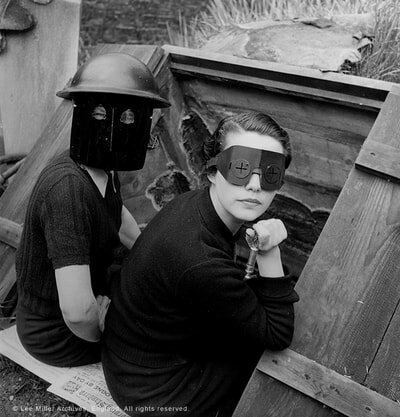 Lee Miller's photograph showing the steel goggles being worn. Description of the civil defence steel goggles. 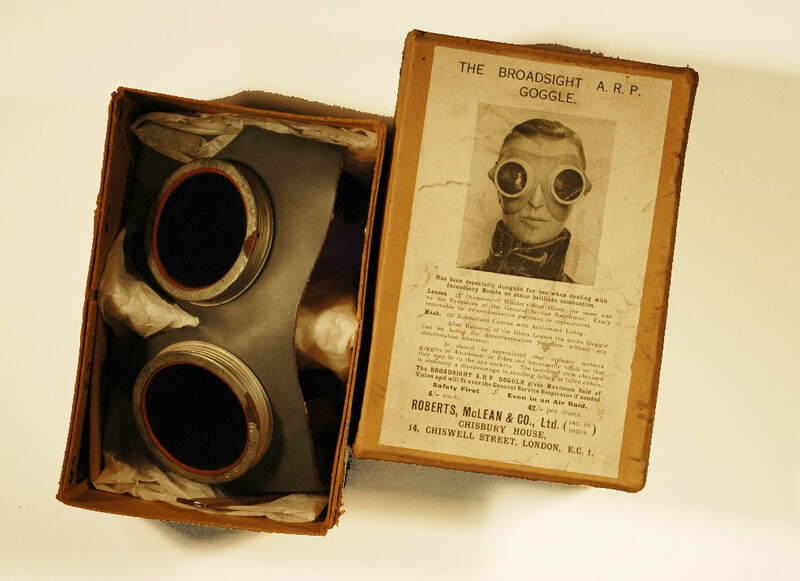 These goggles featured darkened lens that would reduce the glare from incendiary devices. Image from Caring on the Home Front. 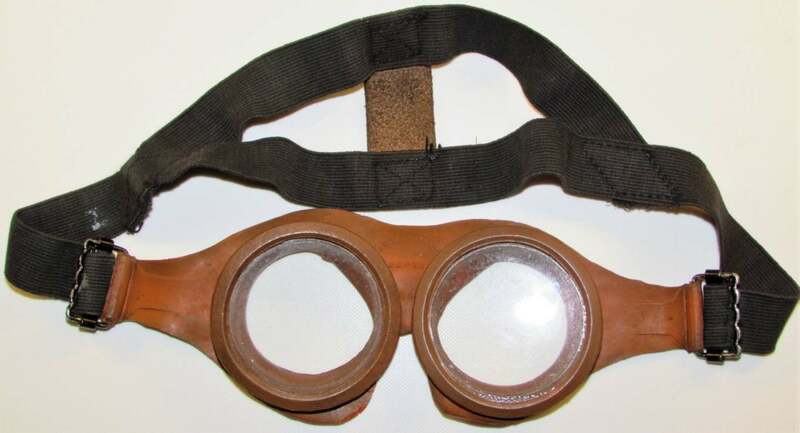 These dust googles were worn during the excavation of bombed out buildings and are regularly seen worn by Rescue Squads in wartime photographs.